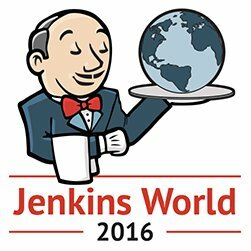 Fourteen DevOps technology leaders announced a new initiative to streamline DevOps adoption at this week’s Jenkins World. The new DevOps Express aims to help answer key questions such as where to start, what a typical DevOps stack looks like, how to learn from others, how to minimize risk, and how to ensure technologies will work together. Founding members include Atlassian, BlazeMeter, CA Technologies, Chef, Cloudbees, DevOps Institute, GitHub, Infostretch, JFrog, Puppet, Sauce Labs, SOASTA, SonarSource and Sonatype. Jenkins and DevOps solution provider CloudBees announced new solutions and features at Jenkins World. CloudBees Jenkins Enterprise is a new Jenkins distribution focused on the enterprise. It features stable and certified distributions of Jenkins, as well as curated extensions from the community and third parties. The enterprise solution is made available by the company’s new CloudBees Assurance Program, which provides verification of Jenkins’ core components and open-source and third-party extensions. The latest version of the CloudBees Jenkins Platform is based on Jenkins 2 and also features the CloudBees Assurance Program. In addition, it features a new digital assistant, an operational dashboard for large-scale Jenkins operations, Jenkins workload management, and the CloudBees knowledge base. The Jenkins project is giving the community a new tool for user experience. The Blue Ocean project is a modern UX designed to tackle modern Continuous Delivery (CD). According to the project team, Blue Ocean is designed from feedback it has received from Jenkins’ last three surveys. It provides a graphical overview of the pipeline in order for users to catch issues and find the source of problems. Next-gen Android and Linux debugging solution provider Undo announced an open-source plug-in designed to improve testing. The Undo Live Recorder aims to give developers precise visibility into their solutions, capture test failures, and provide offline debugging support.